Memorial Day weekend marks the unofficial start of summer. For many Philadelphians, the long weekend means a trip to the shore, but there are still plenty of activities in Philly for the folks sticking it out in the city. 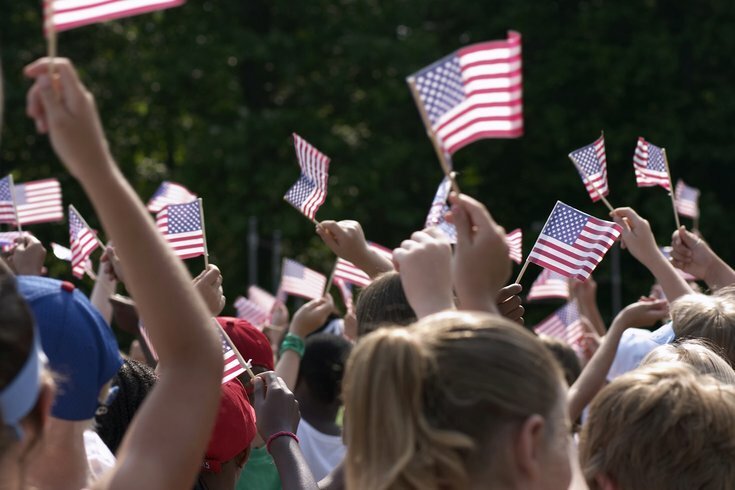 Find places to enjoy the weekend outdoors, as well as events to honor the men and women of the military, both past and present, in this roundup. Summerfest at the Delaware River Waterfront opens for the season Memorial Day weekend. Roller skating at the rink will be $3, but Independence Blue Cross cardholders can skate for free. Roller skate rentals for all are $10. In addition, there will be a nine-hole mini-golf course this year, with each of the mini-golf holes designed by a local artist. Look out for the Chickie's and Pete's Waterfront Crabshack too, as another new feature for 2016. Spruce Street Harbor Park opened for the season on May 7, three weeks earlier than last year. More hammocks and new food & drink options were added to the park for 2016. Find fresh fruit margaritas and hot fish sandwiches among the best new additions. The Philly POPS and the Mann Center for the Performing Arts will present a new concert during Memorial Day weekend titled "Memorial Salute." Two-thousand complimentary tickets will be given to veterans, active military, Philadelphia police and firefighters and other first responders. Tickets begin at $15 per person, and each purchase helps offset the cost of hosting the veterans, military and first responders at Salute Series events throughout 2016. The National Constitution Center will throw a Memorial Day weekend celebration starting on Saturday, May 28. There will be flag ceremonies, a concert, discussions, a flag folding workshop, arts & crafts, games and other family-friendly activities. Admission to the Constitution Center will be free on Memorial Day. The men's lacrosse championships will take place over the course of three days, beginning on Saturday, May 28. Lincoln Financial Field will host the event, and tickets are available for a single day or as a three-day pass. The women's lacrosse championship will also take place over Memorial Day weekend at Talen Energy Stadium in Chester, Delaware County. Independence Seaport Museum and The Chapel of Four Chaplains will host a Memorial Day celebration aboard the Spanish-American War cruiser Olympia. The event will honor the men and women of the military, both past and present, with the 2016 theme "Remembering the Unknown Soldier." The event will feature a pop-up display of pictures and video and the firing of Olympia’s signal guns, among other activities. Space is limited for the event, however, so reserving a spot is recommended. Light refreshments will be provided afterward, and all guests who attend the ceremony will receive complimentary access to the Independence Seaport Museum for the remainder of the day. The museum will also offer free admission for all veterans and active military, along with discounted admission for their relatives, on Memorial Day. Chaddsford Winery will host a music festival over Memorial Day weekend. Besides a line-up of live music, the festival will include wine and food trucks. Admission to the each day of the festival is $10 in advance or $15 on-site. All tickets include a complimentary glass of wine.